A 2012 analysis found that for every $1 the EPF invests in land and water protection, $7 in economic benefits is returned to the state through natural goods and services like removal of air pollution, water quality protection, food production and storm-water management. For every $1 dedicated to farmland conservation, an estimated $4 is returned to local economies—creating jobs and commerce in our communities. Tourism is New York’s fifth-largest employment sector, supporting 714,000 jobs and generating $29 billion annually in wages. Majestic scenery, parks and historic sites are among the state’s principal tourist attractions. Scenic Hudson leads a coalition of land trusts, business owners and conservation advocates who lobby state and federal legislators for sufficient funding to protect open space and farmland. Our efforts helped secure $20 million in state funding for Hudson Valley farmland protection and attracted New York City Council members and celebrity chefs to support our campaign to include funding for regional farmland protection in the city budget. Scenic Hudson also works with local and state governments to provide conservation easement tax credits and similar incentives that encourage property owners to preserve their land. Our team conducts policy research and advocacy to assist governments and planning departments to align their tax laws with forward-thinking conservation goals. Gov. Andrew Cuomo and the Legislature made an unprecendented investmentment in the Hudson Valley's environment and economy through the 2017-18 state budget. The Clean Water Infrastructure Act approved $2.5 billion to address the state's water infrastructure crisis and included important provisions to safeguard the lands that buffer the sources of drinking water. $200 million was allocated to the Empire State Trail to create a multi-modal bicycle and pedestrian trail from Manhattan to Albany and Buffalo and the border with Canada; this measure builds on decades of important work by the Hudson Valley Greenway. Gov. Cuomo and the Legislature agreed to a $300 million Environmental Protection Fund, which will provide grants for waterfront revitalization and managing the Hudson River Estuary, as well as protecting local farms to provide fresh food, and safeguarding parks, open spaces, scenery and natural habitats. 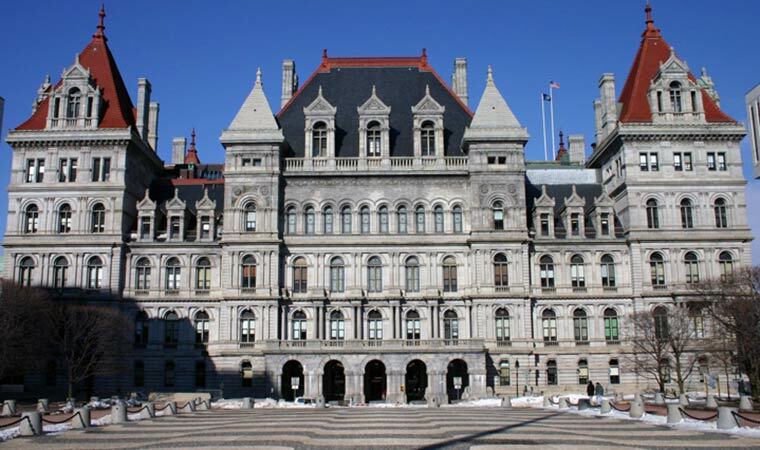 Scenic Hudson's Director of Public Policy, Andy Bicking, commends lawmakers for the 2017-18 legislative budget and explains that these budget initiatives are moving New York State in the direction of a "green infrastructure strategy that will show how the Hudson Valley and New York State are leading the nation in innovation and environmental quality."